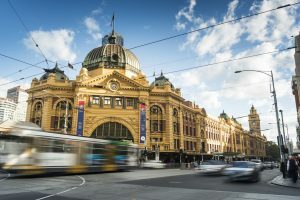 Collaboration and innovation has seen Melbourne secure the world’s largest public transport event, The Union International des Transports Publics (UITP) Global Public Transport Summit 2021. The four-day event will see 2,000 delegates from all over the world meet in Melbourne from 6 – 9 June at the Melbourne Convention and Exhibition Centre (MCEC) and will deliver $9.4 million in economic contribution for Victoria. The Summit is dedicated to sustainable mobility and will provide opportunities for the world’s greatest minds in the sector to network, develop partnerships and establish new projects investment. Melbourne is well placed to host such an event with the state currently undergoing a $30 billion investment in transforming Melbourne’s transport network, and Melbourne boasting the world’s largest tram network. Melbourne beat Moscow and Hamburg to secure the Summit, with Victorian Minister for Tourism and Major Events John Eren stating that Melbourne is setting the pace when it comes to securing and delivering business events. Through a partnership with Victorian State Government, Business Events Australia, Transport for Victoria and Public Transport Victoria, City of Melbourne and the Melbourne Convention and Exhibition Centre, Melbourne Convention Bureau (MCB) steered the proposal to secure the event for Melbourne. Melbourne Convention Bureau Chief Executive Officer, Karen Bolinger said “Melbourne has a global reputation for collaboration with federal, local and state governments, as well as city-wide partners working together to successfully secure and deliver conferences. Tourism Australia supported the bid to bring the UITP Global Public Transport Summit 2021 to Melbourne. “Australia’s track record in delivering business events, our friendly welcoming people and unique landscapes are an unbeatable combination for international association events. We are delighted that yet another important business event has been secured for Australia,” said John O’Sullivan, Managing Director Tourism Australia.